Hot on the heels of April’s successful, if calorific, charity baking extravaganza, sixteen MOV8 staff donned their running shoes to take part in the Edinburgh Marathon Festival Team Relay on Sunday, 27 May. The magnificent MOV8 runners raised over £3,000 for the company’s chosen charity, the Edinburgh Children’s Hospital Charity (ECHC). Starting in the heart of Edinburgh, then heading east along the coast and finishing in Musselburgh, each of the four MOV8 teams, with four runners in each team, successfully completed a total distance of 26.2 miles (split into four legs) … that’s 104.8 miles altogether! Team 2: Your Pace or Mine? Sheryl Glass, MOV8’s Property Sales Manager, did a fantastic job recruiting and motivating the runners. “Everyone did incredibly well, including those who had previously done little or no running!” said Sheryl. “It was tough at times but all the training paid off and it was a great achievement. 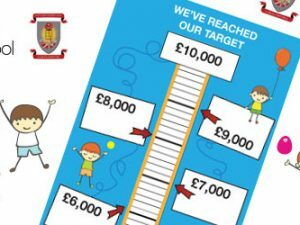 We are delighted to have raised funds well in excess of our overall target for a very worthy cause. A big thank you to all our supporters and sponsors.”If you would like to donate it’s not too late! 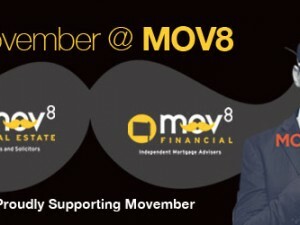 This can be done via one of the individual fundraising links or the MOV8 link. 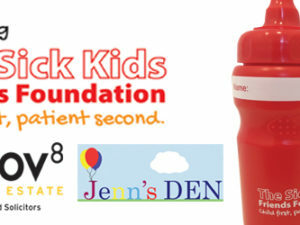 Funds raised go to the Edinburgh Children’s Hospital Charity. ECHC supports and complements the work of Edinburgh’s Royal Hospital for Sick Children (The Sick Kids) as well as other children’s healthcare settings across Scotland, believing that nothing should get in the way of being a child. Their mission is to transform the experiences of children and young people in hospital so they can be a child first and a patient second.